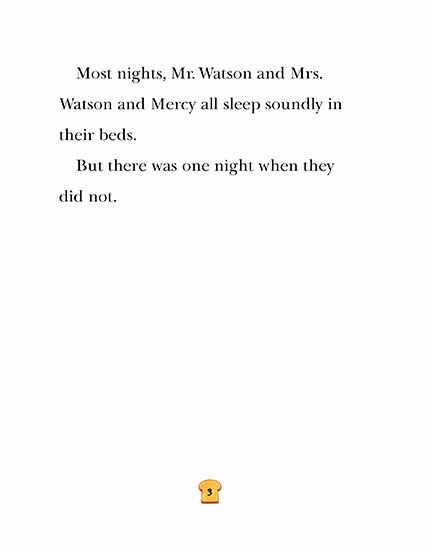 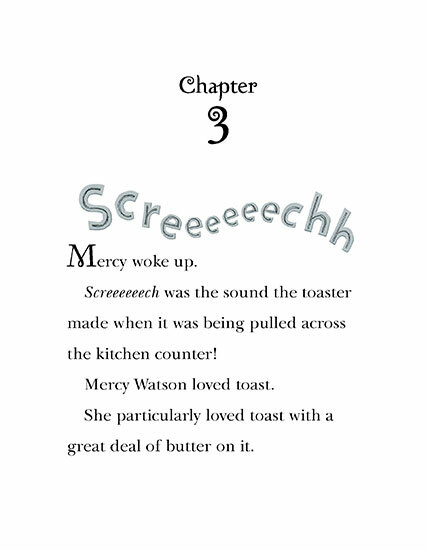 Mercy's back for a third rollicking adventure! 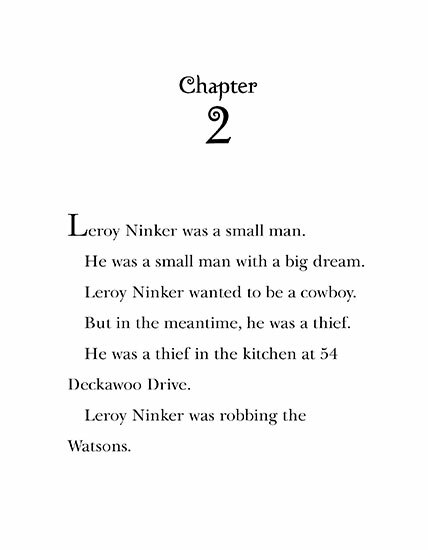 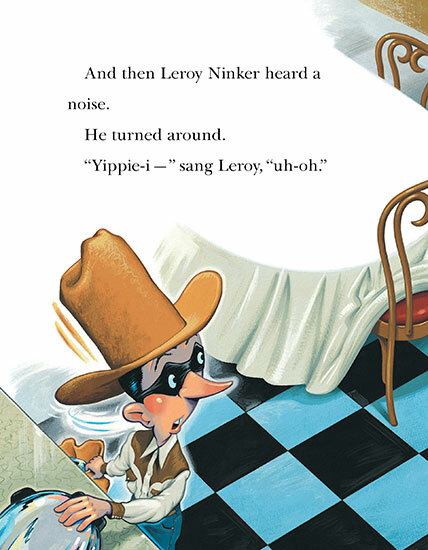 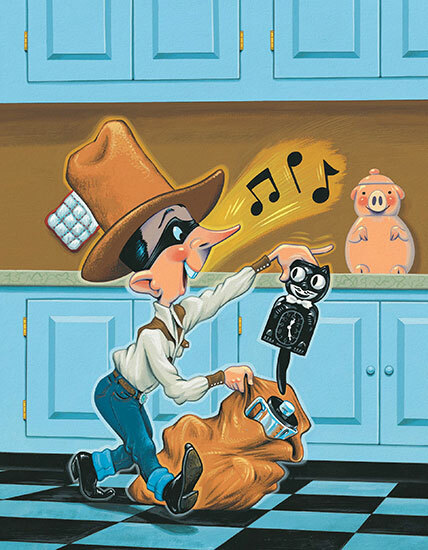 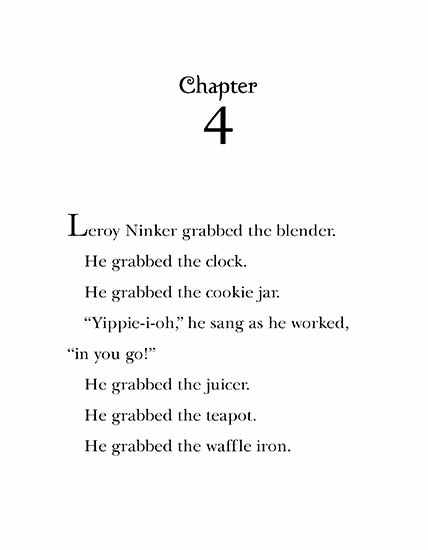 Leroy Ninker is a small man with a big dream: he wants to be a cowboy, but for now he's just a thief. 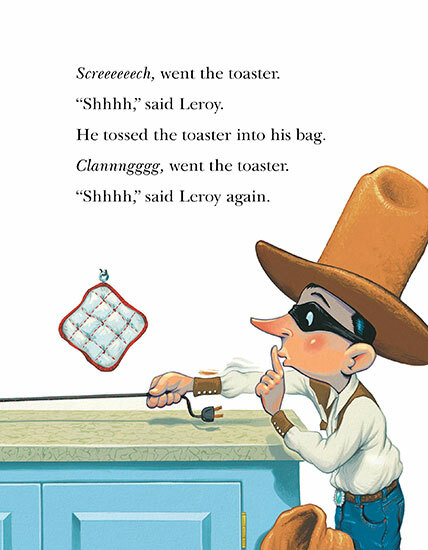 In fact, Leroy is robbing the Watsons' kitchen right this minute! 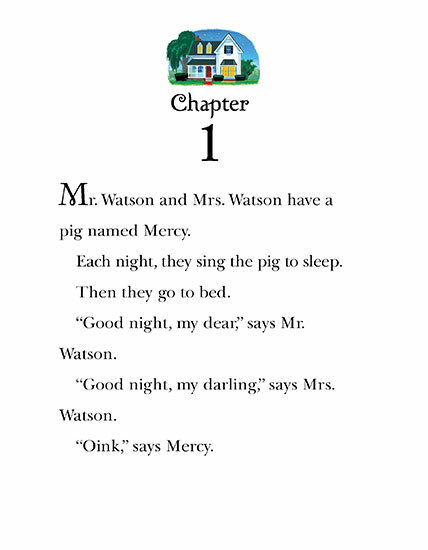 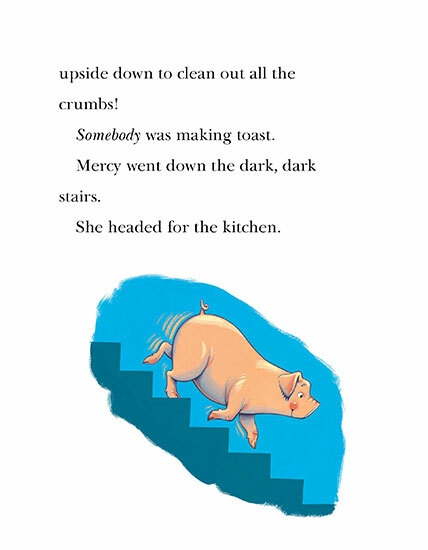 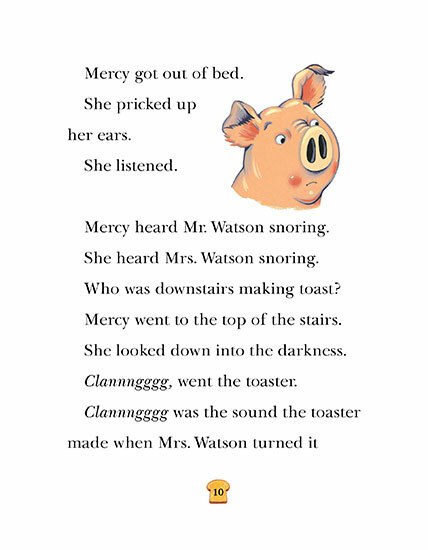 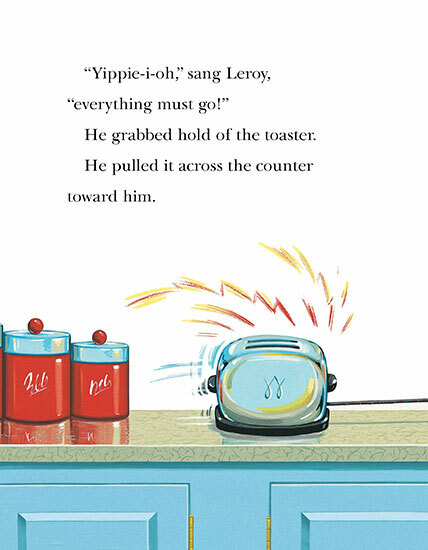 As he drags the toaster across the counter - screeeeeech - and drops it into his bag - clannngggg - little does he know that a certain large pig who loves toast with a great deal of butter is stirring from sleep. 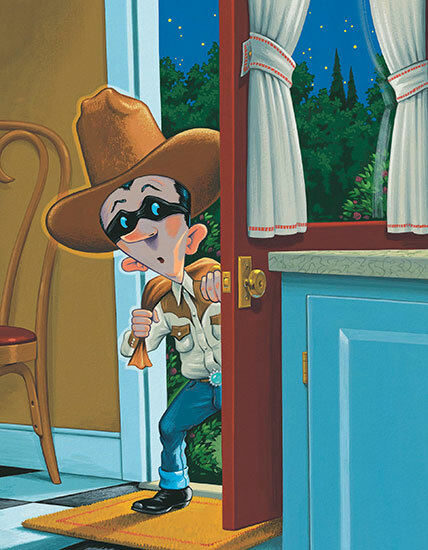 Even less could he guess that comedy of errors (not to mention the buttery sweets in his pocket) will soon lead this little man on the wild and raucous rodeo ride he's always dreamed of! 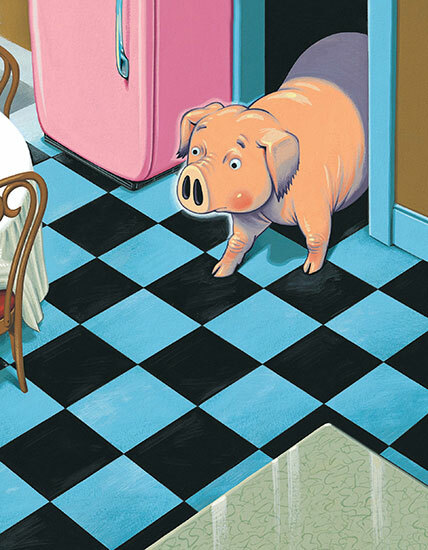 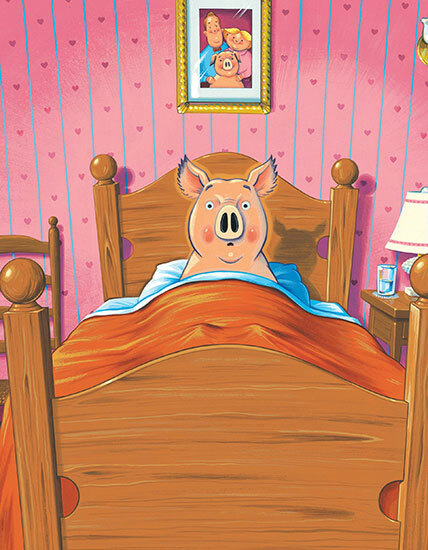 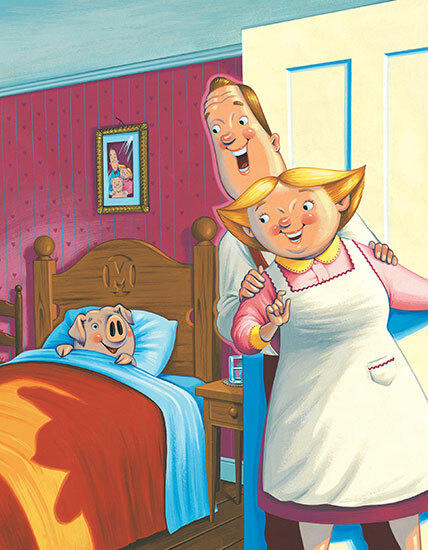 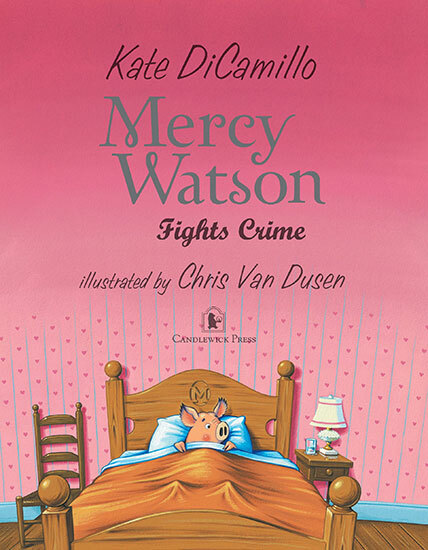 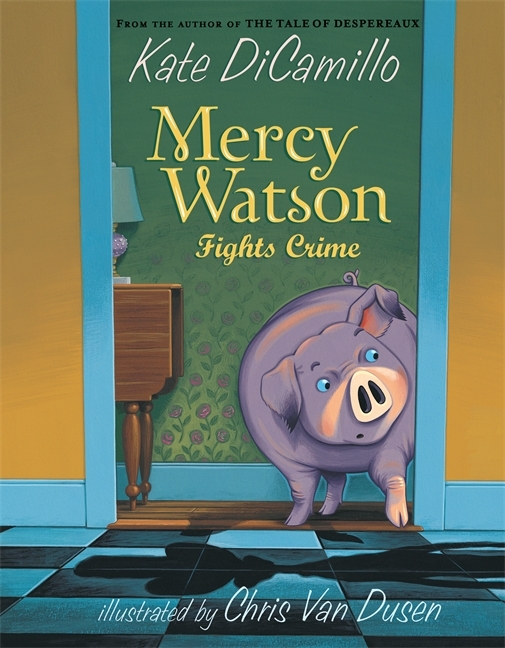 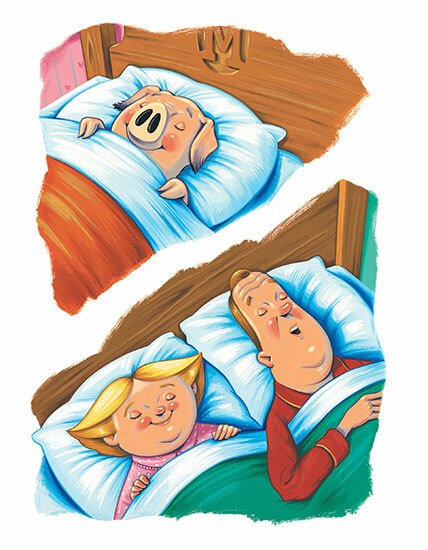 Nosy neighbors, astonished firemen, a puzzled policeman, and the ever-doting Watsons return for a new tongue-in-snout adventure about Kate DiCamillo's delightfully single-minded pig.